Liverpool's Number One Driving School! 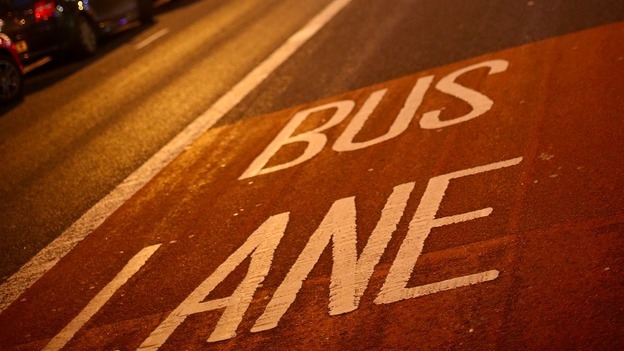 A 9 month trial starts in Liverpool to let commuters use bus lanes in the city. All bus lane cameras will be immobilised. Bus lanes in Liverpool will be scrapped from today as part of a trial to reduce congestion. Twenty-four lanes will be suspended for the next nine months. Council bosses in Liverpool will begin a trial today to allow commuters to use the cities bus lanes. All bus lane cameras will be immobilised and work will begin to removed signage. "I have asked for this trial suspension so that we can explore what benefits, if any, bus lanes are bringing to our city. Keeping the city moving for our motorists, businesses, residents, commuters and visitors is absolutely vital, so it's important we take a proper look at this. Some people have suggested to me that we shouldn't do this because the bus lanes generate income of £700,000-a-year for the council. But in my view it would be immoral to treat motorists as a cash cow.'" The Green Party opposes the move on the basis is it discourages people to use public transport. Are robots better motorists than HUMANS? Two great testimonials for our instructor Derek! Copyright Passfaster. Picture Window theme. Powered by Blogger.